In the wake of the Florida school shooting, politicians have raised concern over the influence of violent video games and films on young people, with the president claiming they’re “shaping young people’s thoughts.” Scientists still debate the issue, but the majority of studies show that extensive exposure to media violence is a risk factor for aggressive thoughts, feelings and behaviors. But there’s less consensus on whether media violence is a risk factor for criminal violence, which is a more serious form of aggression in which the perpetrator is subject to arrest and incarceration — the sort of violence that includes using a weapon to harm or kill people. The link between media violence and mass shootings is yet more tenuous. Compared with acts of aggression and violence, mass shootings are relatively rare events, which makes conducting conclusive research on them difficult. President Donald Trump first raised the issue during a meeting on school safety with local and state officials, which took place a week after the shooting at Marjory Stoneman Douglas High School in Parkland, Florida. The shooter, 19-year-old Nikolas Cruz, reportedly obsessively played violent video games. Trump, Feb. 22: We have to look at the Internet because a lot of bad things are happening to young kids and young minds, and their minds are being formed. And we have to do something about maybe what they’re seeing and how they’re seeing it. And also video games. I’m hearing more and more people say the level of violence on video games is really shaping young people’s thoughts. And then you go the further step, and that’s the movies. You see these movies, they’re so violent. Trump discussed the issue again with members of Congress on Feb. 28 during another meeting on school safety. During that discussion, Tennessee Rep. Marsha Blackburn claimed mothers have told her they’re “very concerned” that “exposure” to entertainment media has “desensitized” children to violence. The points Trump and members of Congress raise aren’t unfounded, but the research on the subject is complex. Scientists who study the effect of media violence have taken issue with how the popular press has portrayed their work, arguing that the nuance of their research is often left out. In a 2015 review of the scientific literature on video game violence, the American Psychological Association elaborates on this point. As with most areas of science, the picture presented by this research is more complex than is usually depicted in news coverage and other information prepared for the general public. Here, we break down the facts — nuance included — on the effect of media violence on young people. Is Media Violence a Risk Factor for Aggression? In particular, the authors explain that this effect manifests as an increase in aggressive behaviors, thoughts and feelings and a decrease in helping others, empathy and sensitivity to aggression. Though limited, evidence also suggests that “higher amounts of exposure” to video games is linked to “higher levels of aggression,” the report said. The report emphasized that “aggression is a complex behavior” caused by multiple factors, each of which increases the likelihood that an individual will be aggressive. “Children who experience multiple risk factors are more likely to engage in aggression,” the report said. The authors came to their conclusions because researchers have consistently found the effect across three different kinds of studies: cross-sectional studies, longitudinal studies and laboratory experiments. “One method’s limits are offset by another method’s strengths,” the APA report explains, so only together can they be used to infer a causal relationship. Cross-sectional studies find correlations between different phenomena at one point in time. They’re relatively easy to conduct, but they can’t provide causal evidence because correlations can be spurious. For example, an increase in video game sales might correlate with a decrease in violent crime, but that doesn’t necessarily mean video games prevent violent crime. Other unknown factors might also be at play. Longitudinal panel studies collect data on the same group over time, sometimes for decades. They’re used to investigate long-term effects, such as whether playing video games as a child might correlate with aggression as an adult. These studies also measure other risk factors for aggression, such as harsh discipline from parents, with the aim of singling out the effect of media violence. For this reason, these studies provide better evidence for causality than cross-sectional studies, but they are more difficult to conduct. Laboratory experiments manipulate one phenomenon — in this case, exposure to media violence — and keep all others constant. Because of their controlled environment, experiments provide strong evidence for a causal effect. But for the same reason, laboratory studies may not accurately reflect how people act in the real world. This brings us to why debate still exists among scientists studying media violence. Some researchers have found that the experimental evidence backing the causal relationship between playing video games and aggression might not be as solid as it seems. Last July, Joseph Hilgard, an assistant professor of psychology at Illinois State University, and others published a study in the journal Psychological Bulletin that found that laboratory experiments on the topic may be subject to publication bias. This means that studies that show the effect may be more likely to be published than those that don’t, skewing the body of evidence. After Hilgard corrected for this bias, the effect of violent video games on aggressive behavior and emotions did still exist, but it was reduced, perhaps even to near zero. However, the effect on aggressive thoughts remained relatively unaffected by this publication bias. The researchers also found that cross-sectional studies weren’t subject to publication bias. They didn’t examine longitudinal studies, which have shown that youth who play more violent video games are more likely to report aggressive behavior over time. Hilgard looked at a 2010 literature review by Craig A. Anderson, the director of the Center for the Study of Violence at Iowa State University, and others. Published in Psychological Bulletin, this review influenced the APA’s report. To be clear, Hilgard is arguing that there’s more uncertainty in the field than originally thought, not that video games have no effect on aggression. He’s also not the first to find that research on video games may be suffering from publication bias. But what about movies and television? Reviews of the literature on these forms of media tend to be less recent, Kenneth A. Dodge, a professor of psychology and neuroscience at Duke University, told us by email. Dodge also pointed us to a 2006 study that reviewed the literature on violent video games, films, television and other media together. “Most contemporary studies start with the premise that children are exposed [to violence] through so many diverse media that they start to group them together,” said Dodge. Published in JAMA Pediatrics, the review found that exposure to violent media increases the likelihood of aggressive behavior, thoughts and feelings. The review also found media decreases the likelihood of helping behavior. All of these effects were “modest,” the researchers concluded. Overall, most of the research suggests media violence is a risk factor for aggression, but some experts in the field still question whether there’s enough evidence to conclusively say there’s a link. Is Violent Media a Risk Factor for Violence? There’s even less evidence to suggest media violence is a risk factor for criminal violence. The APA report said studies have been conducted on media violence’s relationship with “criminal violence,” but the authors “did not find enough evidence of sufficient utility to evaluate whether” there’s a solid link to violent video game use. This lack of evidence is due, in part, to the fact that there are ethical limitations to conducting experiments on violence in the laboratory, especially when it comes to children and teens, the report explains. That leaves only evidence from cross-sectional studies and longitudinal studies. So what do those studies say? One longitudinal study, published in the journal Developmental Psychology in 2003, found that, out of 153 males, those who watched the most violent television as children were more likely 15 years later “to have pushed, grabbed, or shoved their spouses, to have responded to an insult by shoving a person” or to have been “to have been convicted of a crime” during the previous year. Girls who watched the most violent television were also more likely to commit similar acts as young women. These effects persisted after controlling for other risk factors for aggression, such as parental aggression and intellectual ability. A 2012 cross-sectional study that Anderson, at Iowa State, and others published in the journal Youth Violence and Juvenile Justice did find that the amount of violent video games juvenile delinquents played correlated with how many violent acts they had committed over the past year. The violent acts included gang fighting, hitting a teacher, hitting a parent, hitting other students and attacking another person. Multiple experts we spoke with did point to one factor unique to the United States that they argue increases the risk of mass shootings and lethality of violence in general — access to guns. Dodge, at Duke, echoed Anderson’s point.”The single most obvious and probably largest difference between a country like the US that has many mass shootings and other developed countries is the easy access to guns,” he said. So while scientists disagree about how much evidence is enough to sufficiently support a causal link between media violence and real world violence, Trump and other politicians’ concerns aren’t unfounded. 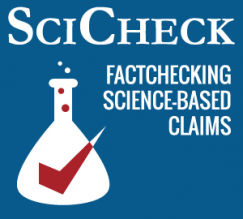 Editor’s note: FactCheck.org is also based at the University of Pennsylvania’s Annenberg Public Policy Center. Hilgard, now at Illinois State, was a post doctoral fellow at the APPC. "I’m hearing more and more people say the level of violence on video games is really shaping young people’s thoughts."